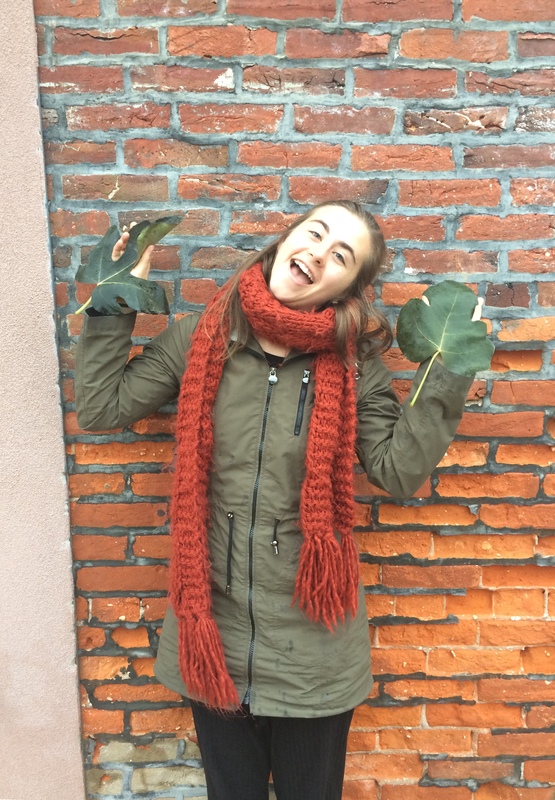 My name is Megan Brookens and I am the new Repair the World Fellow partnered with POP for the year! I’m working with our Education Director, Alyssa Schimmel, to develop lesson plans and activities to use at our school orchard sites. This season, I am excited to learn with and from the students at our orchards about topics they want to explore. One of the first things I learned at POP is how much we love our fig trees. 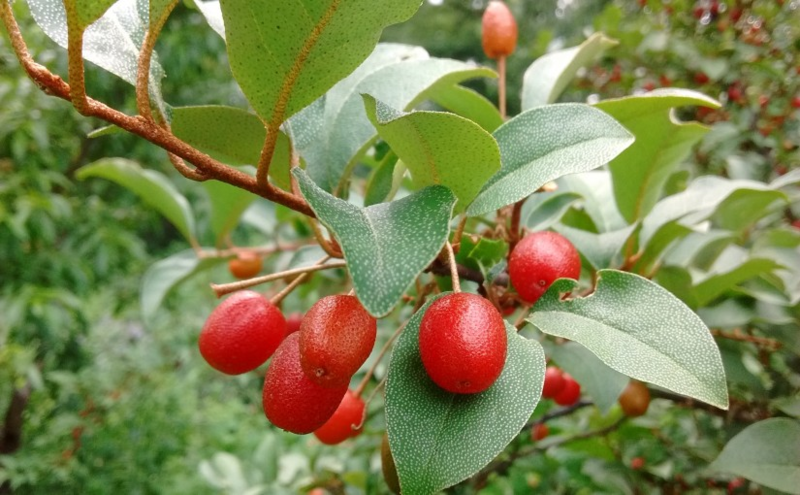 These lovely plants, of the Ficus carica species, are highly recommended for Philadelphia due to their bountiful harvest and low maintenance requirements, aside from some seasonal winterizing. 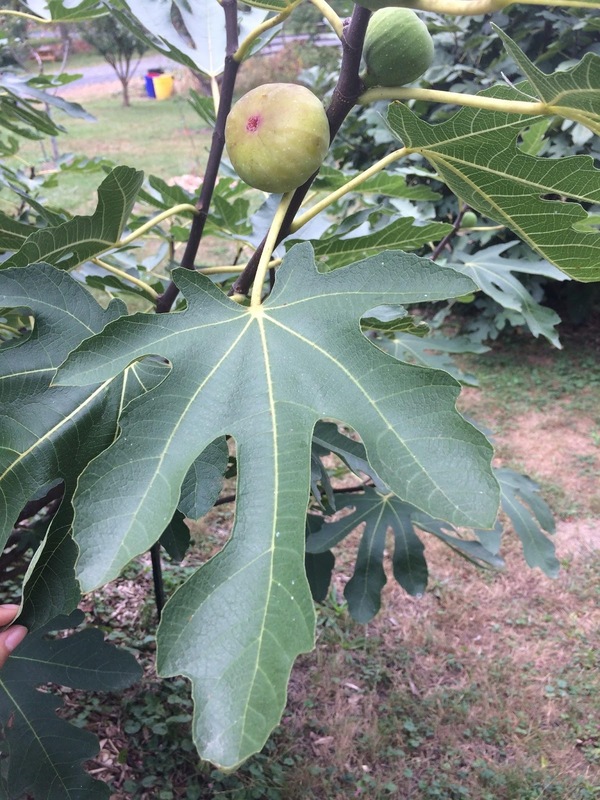 There are many fig varieties featured throughout our different orchard partner sites and we thought it would be fun to highlight some of the most common ones, see descriptions below and linked here as a downloadable PDF. 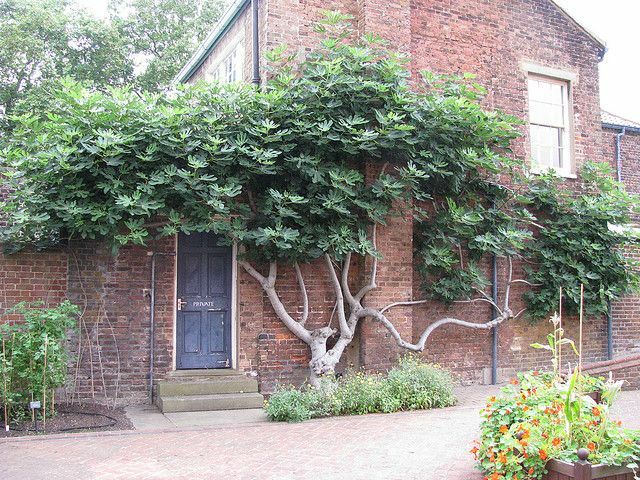 We love our fig trees here at POP! There are several species of edible figs that are part of the Ficus genus and are native to temperate regions of Asia and Turkey, where they have been cultivated since at least 5000 B.C. Today, they are an important fruit in many parts of the world including the Mediterranean and the United States. 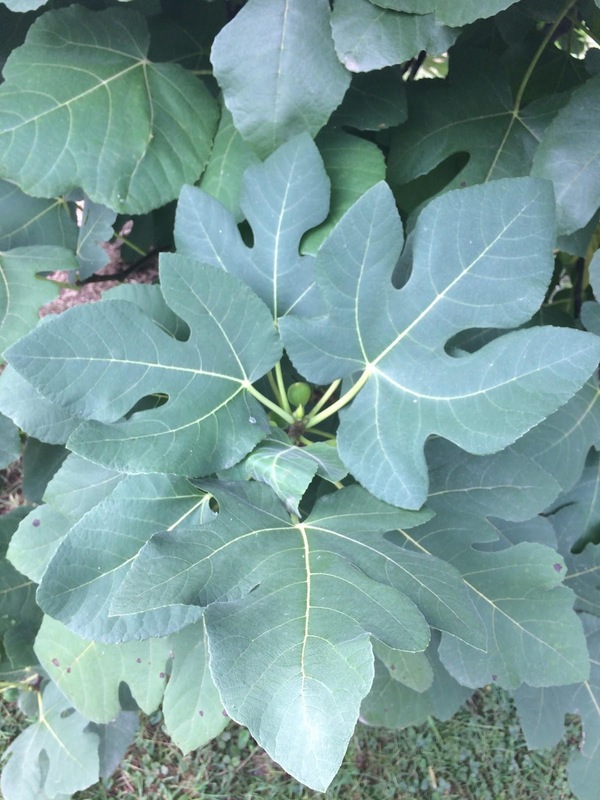 The Common Fig (Ficus carica) is the most cold hardy species of edible fig and the one we plant in Philadelphia; unlike other fig species, it is alsoo self-fertile and doesn’t require pollination to produce fruit. Figs can be eaten fresh, dried, or even turned into a nice preserve. 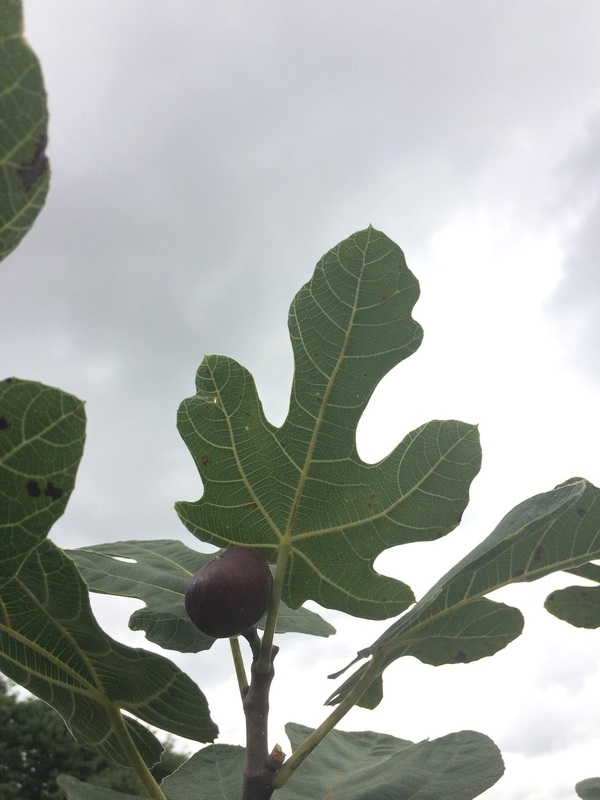 They are a good source of calcium, fiber, iron, copper, carbohydrates, potassium, and Vitamins A, E, and K. There are many varieties of fig trees featured throughout our different orchard partner sites, but here is a quick guide to our most popular varieties. Celeste – a productive fruiter that produces medium-sized fruit with smooth, light brown to violet-colored skin and pastel pink flesh. This is a fairly cold-hardy variety and takes freezes better than other figs. Historical Facts: This is one of the most popular figs in our POP orchards, commonly grown in the Southeastern United States but widely adaptable. It is quick to fruit and after a harsh winter, it is able to regrow from the roots and produce fruit in the same year! Ripening and Harvest: Harvest from July-Late October when the fruit is soft and purplish-brown, perhaps with a little green, and bends at the neck. Flavor: Sweet and juicy with a rich honey-like flavor. It’s known as the “Sugar Fig” for a reason! Chicago Hardy – bears small to medium sized figs with a deep mahogany color and exhibits drought-tolerance once established. A very productive and cold hardy variety! Historical Facts: Another one of our most popular figs featured in POP orchards, this variety originates from Sicily but was cultivated in Chicago. It is easy to grow and even does well in containers – perfect for the backyard fruit grower. Specific Care Requirements: This is a cold-hardy variety and takes freezes better than other figs. 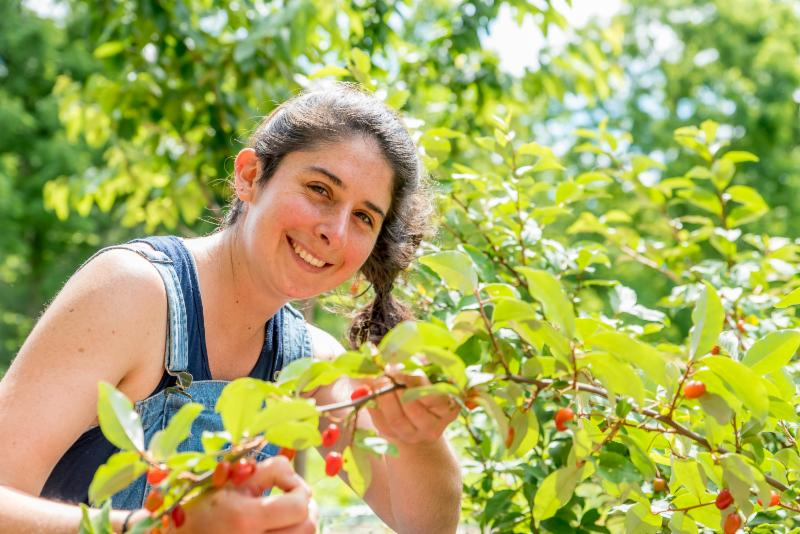 It is also quick to fruit, allowing it to die back to the ground in a really harsh winter and then regrow from the roots and successfully bear fruit in the same year. 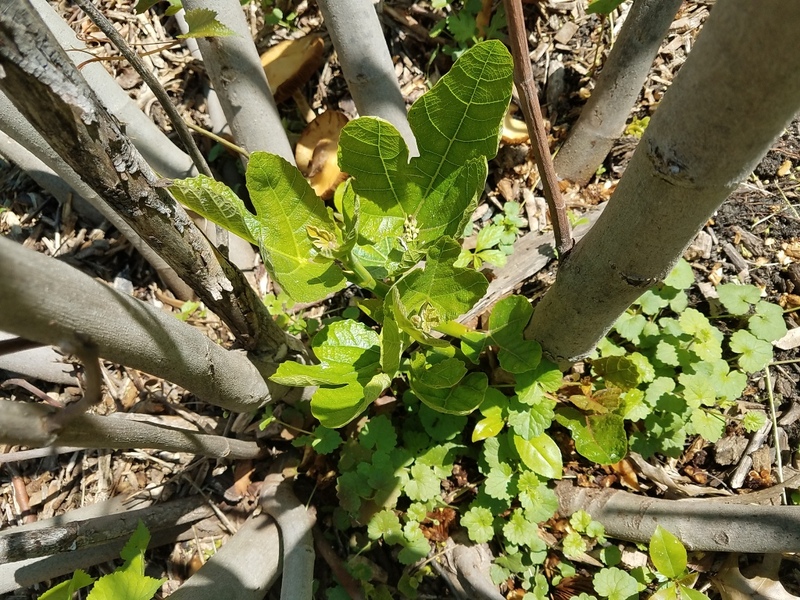 A single established Chicago hardy fig can provide up to 100 lbs of fruit yearly! Ripening and Harvest: Harvest from August-Late October when the fruit is soft and medium-dark purple. The fruit is small to medium in size and has a reddish interior flesh. Larchwood – A variety of unconfirmed origin that produces abundant medium to large tear-drop shaped figs that remain green when ripe, with a juicy red interior. Historical Facts: POP Director Phil Forsyth propagated this variety from a yard on Larchwood Ave in West Philly – a local varietal! In harsher winters, it does require some protection to ensure a good harvest. Ripening and Harvest: Harvest from August-early October when the fruit is soft and a lighter green in color. Flavor: One of the best tasting fig varieties we’ve come across, juicy and sweet. 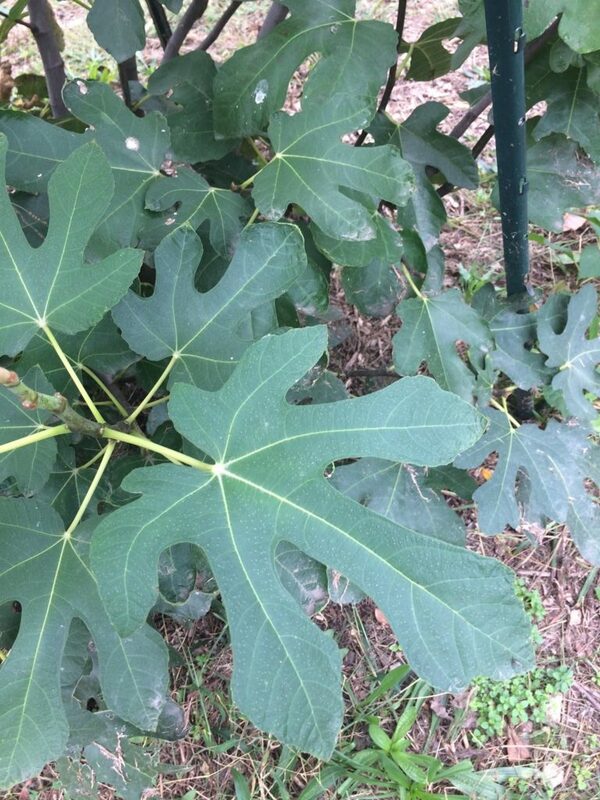 Bartram’s Fig – A historic variety with attractive, deeply lobed leaves and producing large round figs that are yellow with a bit of purple when ripe. Historical Facts: This variety is featured at Bartram’s Garden in Southwest Philadelphia. While the origins of this variety are unknown, it has been cultivated on site for many decades! Ripening and Harvest: Harvest from August-Late October when the fruit is soft and light purplish-pink at base with green toward the stem. The fruit is medium to large in size. Brooklyn White – also known as Naples White, this variety produces large, light lime-green skinned figs with light pink flesh and the flavor of honeyed strawberries. An unusual trait: the fruit can still ripen on the tree after dying back to the ground after a harsh winter! 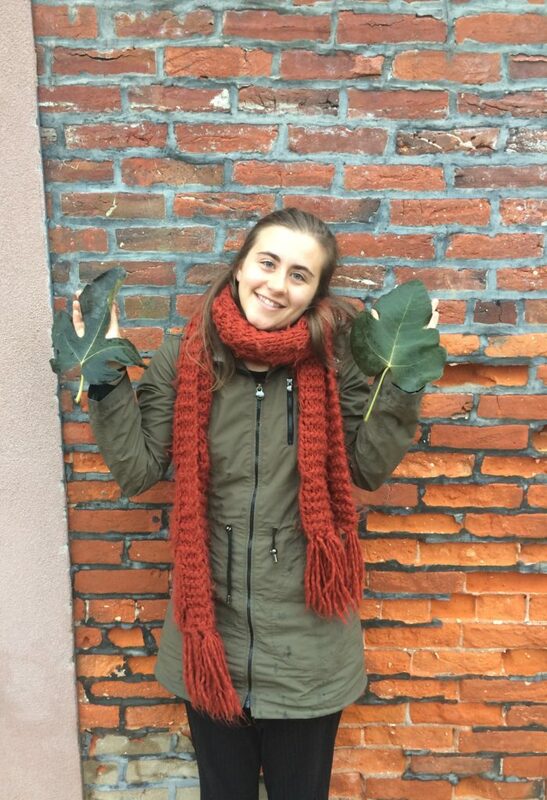 Historical Facts: Brooklyn has a high concentration of fig trees because of its long history of Italian immigrants bringing cuttings from the beginning of the 20th century until World War II. Ripening Period: Harvest from August- Early October when the fruit is soft and yellow-golden. The fruit is medium to large with a light pinkish-purple interior flesh. 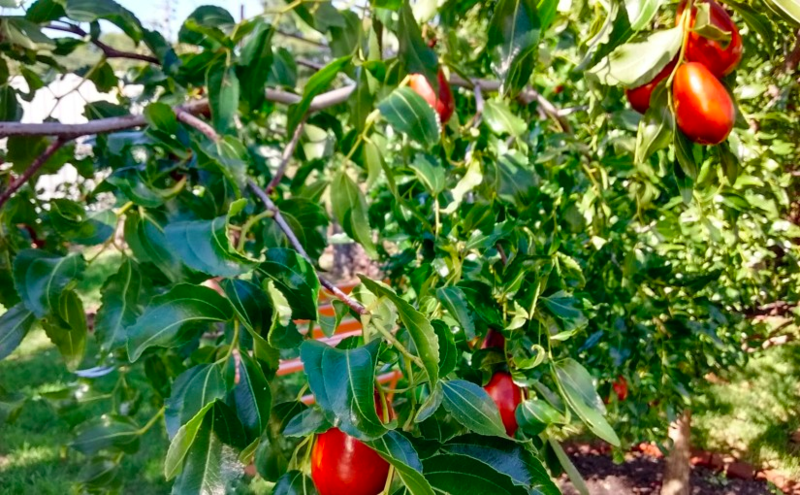 Crop from this tree ripens three weeks after the main crops begin on earliest cultivars. Takoma Violet – This new–to-be featured fig variety is known for its cold-hardiness and deep rich flavor and draws its origins from sanctuary city Takoma Park, MD. The fruit has a nice tight eye that is resistant to splitting and the plant itself is one of the most cold hardy varieites. Historical Facts: This variety was newly planted at POP partner sites Tilden Middle School and St Bernard Community Garden in Spring 2017. Ripening Period: Harvest from August-October when the fruit is soft and dark blackish-purple. The fruit is small with a reddish interior flesh. This POP Plant Feature was written by POP 2017/18 Repair The World Fellow Megan Brookens. Jams, jellies, preserves, conserves, fruit butters, sauces and more! Canning is another great way to preserve fruit to enjoy throughout the year. . . Ensuring that the food you’re eating is free from things that will make you sick is extremely important. If you’re new to canning but have an abundance of harvest, now is as good a time as any to experiment! These tips are only an introduction to show you how simple the process actually is. Please read more in depth on websites listed below, attend a workshop, or can with more experienced friends to ensure you understand the whole process and will be able to enjoy your labors all winter long. 1. Tempered glass mason jars should be used that are specifically for canning purposes. Don’t reuse glass jars from things like store-bought tomato sauce or mayonnaise. Those are too thin & will shatter under prolonged heat or pressure. 2. New mason jars come with jar ring bands and sealing lids. You can reuse jars and ring bands as long as they are in good condition, but sealing lids must be purchased each time you can something new because their seal is compromised the first time they’re used. 3. Before filling, examine and clean all jars and ring bands, and fill them with hot water until they’re filled with food. 4. Adding an acidic ingredient, such as lemon juice, will help to preserve the color and health of your recipes. 5. If you’re working exclusively with fruits, tomatoes, or pickles, a canning kettle, or hot water bath, method will suffice to sterilize. Canning kettles can be purchased, or a deep stock pot. If using a stock pot, ensure that the bottom of the glass jars are raised from the bottom, either by using a cake rack in the bottom or even carefully lining up some extra jar ring bands on the bottom to rest the jars on. Fill the stock pot with water up to an inch above the top of the largest canning jar. 6. Canning vegetables, seafood, and meat requires a steam pressure canner, due to a general lack of acidity and shorter shelf life of these ingredients. Pressure canners are fairly expensive but can be shared by groups or perhaps borrowed from organizations that may have them. You may also get lucky if you frequent thrift stores like I do. Some of the great kitchen things people get rid of are crazy! 7. Some useful canning accessories include: colander or wire basket for blanching fruits, a food mill, a food chopper, a wire strainer, a wider-mouth canning funnel for easy jar-filling, a jar lifter for handling hot jars, an accurate thermometer to check temperatures, and an automatic timer. 8. When in doubt, throw it out! If you open up a jar after it’s been sitting a while & it seems a little weird–i.e. smells bad, has softened a lot, is discolored, or moldy–get rid of it. The biggest fear when canning is botulism. These organisms can live without air inside a sealed jar and will not be destroyed by boiling water. Botulism cannot survive in an acid environment, but with non-acidic ingredients, sustained steam pressure at 240 degrees F is necessary. Now some fun stuff, to be prepared whether you’re canning or not! These things will all keep in the fridge, too, but not for as long. Combine all ingredients in a large pot and cook over medium heat, stirring occasionally, for 25 minutes. Mash with a whisk or potato masher, or carefully puree in a food processor or blender (don’t fill too full) until smooth. 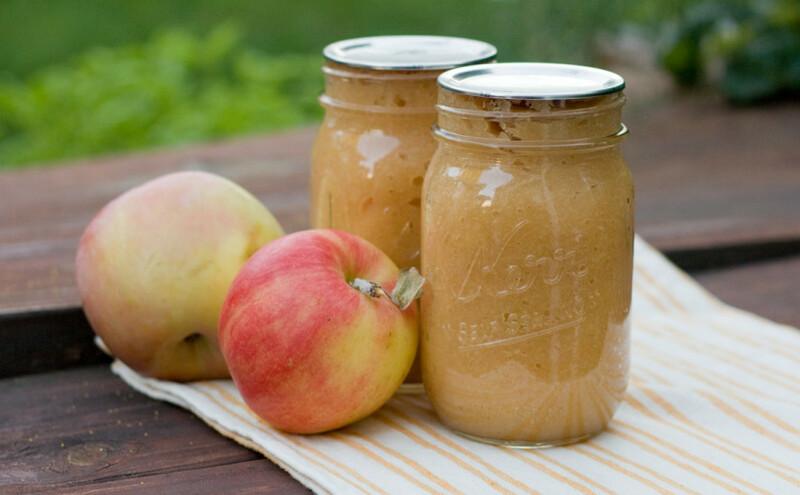 Add to pint mason jars and follow canning safety for apple sauce all year long. Clip the stems from the figs and chop. Combine the figs and sugar in a large pan (about 5-quart size) and allow to stand for 1 hour. Place over medium heat and cook, stirring often, until thickened (about 20 minutes). Add the lemon juice, orange peel, and walnuts. Bring to boiling again; boil for 3 minutes. Prepare 5 half-pint canning jars, and fill to within 1/4 of the jar rim. Can away! Wash pears but don’t peal or core them; slice into a heavy saucepan–at least 5-quart size. Add water, cover, and cook until tender–abut 30 minutes. Remove from heat and press the pears through a colander or food mill; measure the pear pulp to about 8 cups and return to the pan. Using a frying pan, heat 1 1/2 cups sugar, stirring, until it melts and caramelizes to a medium brown color. Pour immediately into the pear pulp (the syrup will sizzle and harden, but dissolve again as the preserves cook). Add the remaining sugar, cloves, cinnamon, and ginger. Cook uncovered, until thick (about 45 minutes). Stir frequently as it begins to thicken to prevent it from sticking; stir in lemon juice just before removing it from the heat. Prepare 9 half-pint sized canning jars, fill the jars to within 1/4 inch of the rim, and can! And this one won’t be found in your orchards, but I’m sure a lot of you have WAY too many tomatoes right now. A new idea! Peel, core, and coarsely chop the tomatoes (8 cups). With a vegetable peeler, carefully remove thin outer peel from the orange and lemon; cut peel into thin slivers. Holding fruit over a bowl to catch the juice, cut remaining peel and white membrane off the orange and lemon and discard; coarsely chop the fruit. In a 5-quart sauce pan or Dutch oven, combine the tomatoes, orange, lemon, slivered peel, vinegar, cinnamon, allspice, cloves, and sugar. Bring to boiling, reduce heat, and simmer gently, uncovered, until reduced to about 2 pints; it takes about 2 hours. Stir frequently to prevent sticking. Prepare 2 pint-sized canning jars, and fill within 1/8 inch of the top. One of the wonder’s of Philadelphia’s fine fruit-growing climate is that we can grow certain warmer climate crops like the fig. South Philly is full of decades old fig trees brought over by immigrants from Italy and other Mediterranean countries. These trees were probably coddled in their youth, wrapped every winter as fig-growers still do in Brooklyn and other northerly regions. South Philly’s figs now grow unprotected, often untended, and fill entire back yards with little attention. Our climate has actually become more suitable for figs in recent years as a result of the urban heat island effect and the onset of global warming. Figs in a South Philly front yard. Figs are a great crop for Philly for several reasons: taste, productivity, and ease of care. Many of you have probably enjoyed dried figs, but few have had the pleasure of fresh, ripe fig. Most of the folks I’ve planted figs with in my work the Philadelphia Orchard Project (www.phillyorchards.org) have come no closer than a Fig Newton. A fresh fig of good variety is a truly sublime fruit, bursting with flavor and texture. People always point to the difference between a garden tomato and a store-bought one as a reason to grow your own vegetables. I would posit an equivalent contrast between the experience of a fresh fig and a dried one. Fresh figs are juicy, flavorful, sublime. 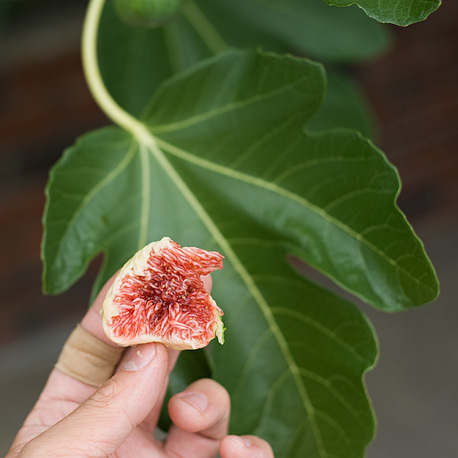 Another reason to grow figs is their relative ease of care. Apples, pears, cherries, peaches and all the common tree fruits suffer from a wide variety of pest and disease problems. Figs are generally problem free and require relatively little in the way of pruning, watering, fertilizing, or other maintenance. In a good year, a single mature fig tree can produce 40 lbs of fruit! 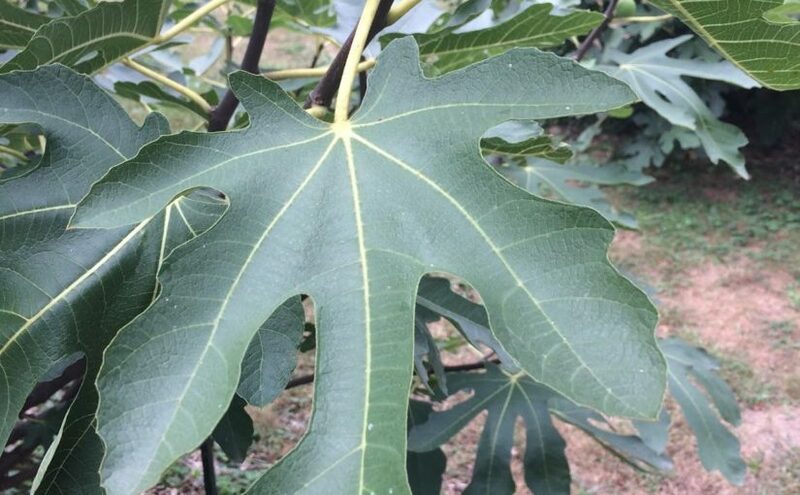 Figs are also beautiful plants: their large lobed leaves create a lush Mediterranean feel. There are over a thousand species of figs (many Ficus are quite common as houseplants), but only two are grown for their edible fruit: Ficus carica and Ficus sycamorus. Three types of Ficus carica are grown in the United States. Smyrna Figs are the most commonly available, grown commercially in California but not at all adapted to colder climes. The San Pedro Fig can be grown in the north, but requires pollination and generally also necessitates container growing. 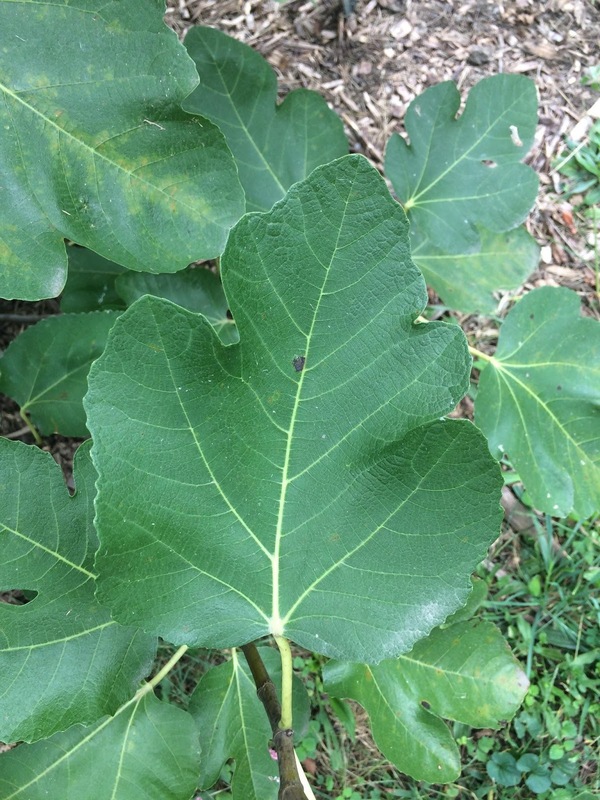 The Common Fig is both self-fertile and the best adapted to growing in Philly and other cold climes. There are dozens if not hundreds of named varieties of Common Figs, varying greatly in taste, color, and growth habit. 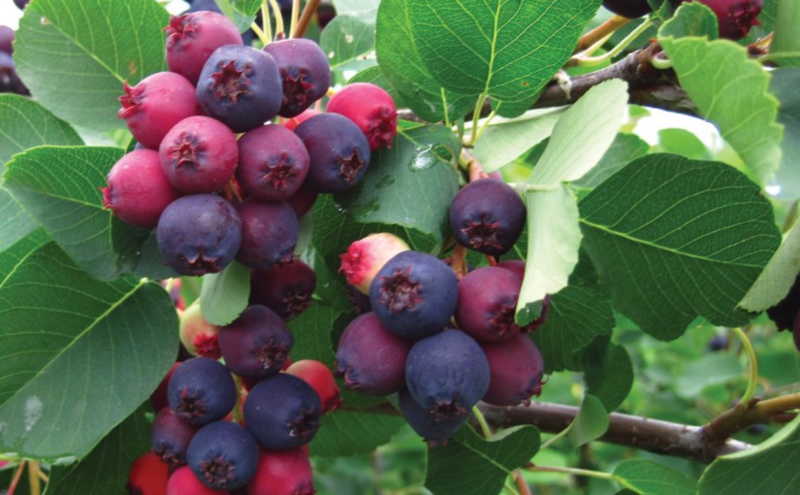 The varieties that do best in the north are generally very vigorous growers that can survive some winter damage or pruning and still produce the next season. Bassem Samaan (www.treesofjoy.com), a fig collector and grower from Bethlehem PA, recommends the following varieties for the Northeast: Hardy Chicago, Celeste, Dark Portuguese, LSU Gold and Brooklyn White. Brown Turkey is the most commonly planted hardy fig, but in general its taste is considered somewhat inferior. Figs come in many colors, shapes, and sizes- even striped! Figs need full sun (6+ hours) for good fruit production. Once established, they are pretty drought tolerant and require little additional watering except during prolonged droughts. Figs also require minimal fertilizing, although a little compost in the spring can be helpful. Figs produce their main crop in late summer and fall. Brushing the fruit with olive oil apparently can hasten the ripening process. If you successfully overwinter branches of the common fig (Ficus carica), they can also produce a smaller ‘breba’ crop in early summer. Although birds, insects, and diseases are generally not a concern, squirrels can be sometimes be a competitor for the fruit. Protection from winter cold is the primary issue in fig care for Philly and other northerly climes. With proper attention, figs have been successfully grown outdoors in Chicago and Boston. I’ve also seen them thriving in unheated greenhouses at 7200′ above sea level in Colorado. There are four primary strategies for overwintering figs in our climate: microclimates, mulching, wrapping, and container growing. The easiest way to overwinter figs in cold climes is to take advantage of microclimates. In brief, microclimates are small changes in temperature created by features of the local landscape. These can occur on scales ranging from a city to a small corner of a yard. Although Philadelphia is officially in climate zone 6b, the urban heat island effect (all the pavement and brick absorb heat and keep the city several degrees warmer than surrounding areas) results in much of the city being zone 7 in actual practice. This large microclimate means that other measures may not be necessary to protect figs in the more central and southerly parts of the city. That said, better safe than sorry, especially in the case of young figs! In terms of smaller scale microclimates, the best strategy is to plant your fig next to a south-facing wall, which will absorb sunlight during the day and re-radiate the stored heat at night. A site protected from wind can also make a difference (it’s often wind-chill factor that can take our climate from fig-friendly to one resulting in winter dieback). With the right combination of microclimate features, it should even be possible to grow pomegranates and other zone 8 plants in Philly. A south facing wall is the best spot for a fig. There are several techniques for protecting figs with mulching. The simplest is just to put down a heavy layer of mulch (fallen leaves, salt hay, wood mulch) around the base of the fig tree to protect the roots. 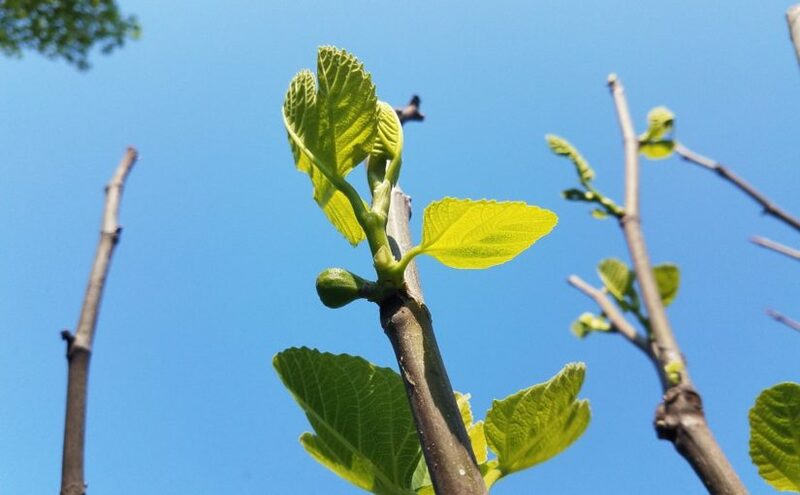 Temperatures below 15 degrees will likely winterkill the branches, but the fig will happily regrow from its roots and often fruit in the same year. The proprietors of Russell Gardens (www.russellwholesale.com) in Southampton PA, about an hour north of Philly, have been using this technique successfully for many years. Mulching can also be used to protect branches. On a young tree the branches can simply be bent to the ground, pinned, and then mulched. On older trees, you can prune out the oldest, stiffest branches and bend the rest to the ground. You can also sever the roots on one side of the tree with a shovel and then bend the whole tree over to the ground on the over side. Mulching your figs does come with one caveat: rodent damage has sometimes been reported. What they do in Brooklyn, Queens, West Philadelphia, Chicago too. . . Many folks from Italian neighborhoods in South Philly and elsewhere will remember the sight of fig trees wrapped in the winter. Despite the warming trend over the last couple decades, recent harsh winters have shown that this is still an important technique to reduce winter damage and ensure a harvest. There are many successful approaches to wrapping. 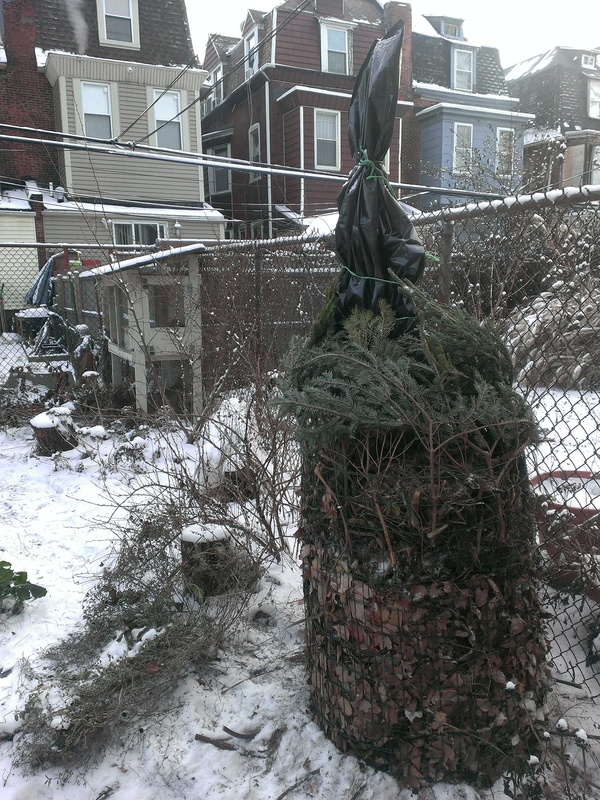 The easiest and best strategy is to trim the fig to somewhere under 6′, tie all the branches together, and then wrap with an old carpet and a tarp. We also frequently use a length of fencing (at least 3′ high and 10′ in length) filled with fall leaves and preferably covered by a tarp. Wrapping is generally done when cold arrives in November and removed when it warms in March. Fig cozily wrapped for winter. Figs are a great container plant. As is generally the case, growing in containers requires a little more watering and other care than growing in ground. Figs are best grown in large 15 to 20 gallon containers, although it is certainly possible to have success in smaller ones. Once they have grown out to fill their container, you will need to repot and root prune every third year or so. 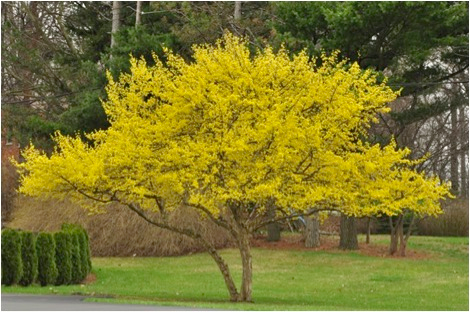 This is best accomplished in late winter or early spring before growth has begun. Winter protection is as easy as moving the containers into a cellar or unheated garage after their leaves have dropped in fall. Temperatures in the storage area should not go below 25 degrees or exceed 50 degrees Fahrenheit (you want them to stay dormant). 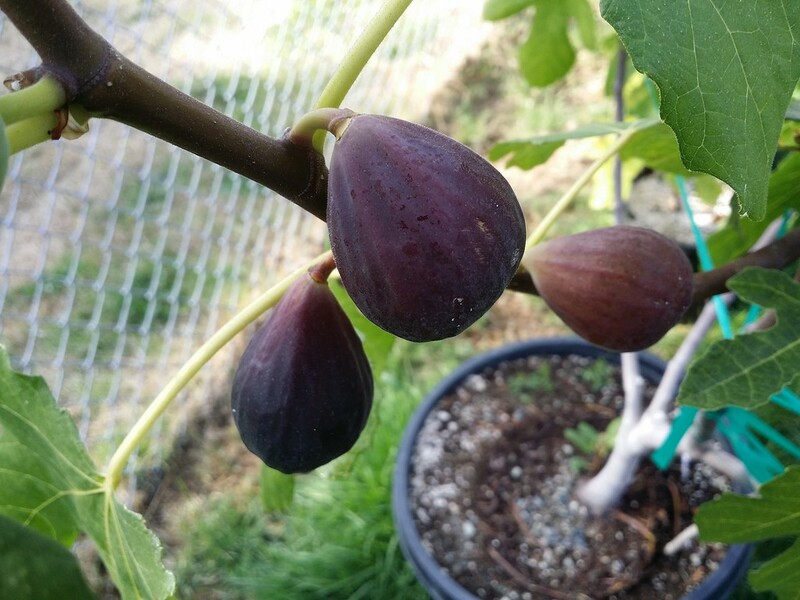 While they are dormant, the figs will need minimal watering, only every 3 weeks or so. Bring the figs back outdoors in the spring after the threat of freezing weather has passed. Container growing allows folks to grow figs on patios, decks, rooftops, and safely in places with contaminated soil! Container grown fig on a porch in West Philly. This article originally written by POP Executive Director Phil Forsyth for phigblog.com.